Route of ascent and descent: First visit: Ascended from Sadgill: having had to walk there from Staveley, which is about 4½ miles. Left via the ridge to Grey Crag. Tarn Crag, viewed from Kentmere Pike on walk 35. The survey post is just visible on the summit. Second visit: Came in from Grey Crag. Descended to the Mosedale-Longsleddale bridleway, then on to Mosedale Cottage. 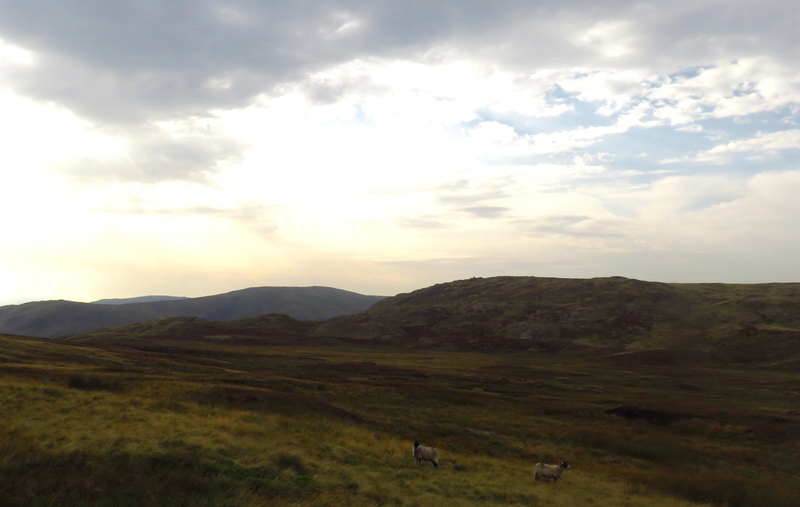 What I say: It never helps to go up a fell on a cloudy day, especially when the view is clearly (from the pages of Wainwright, anyway) the best thing about it. 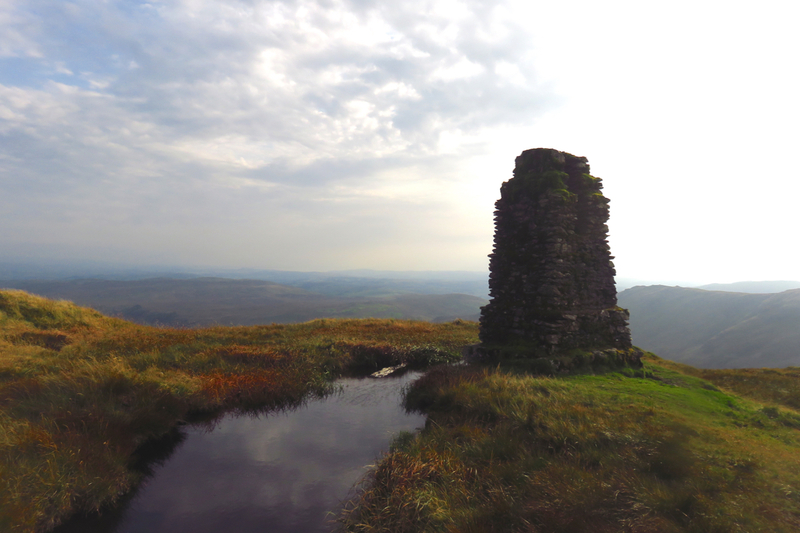 That was my first visit: but let’s at least give it credit for this strange, felltop structure, the like of which I have yet to see on any of the other fells so far climbed. The second visit saw better weather, but there still wasn’t a huge amount to the fell, though the view was good. Probably worth a visit however. 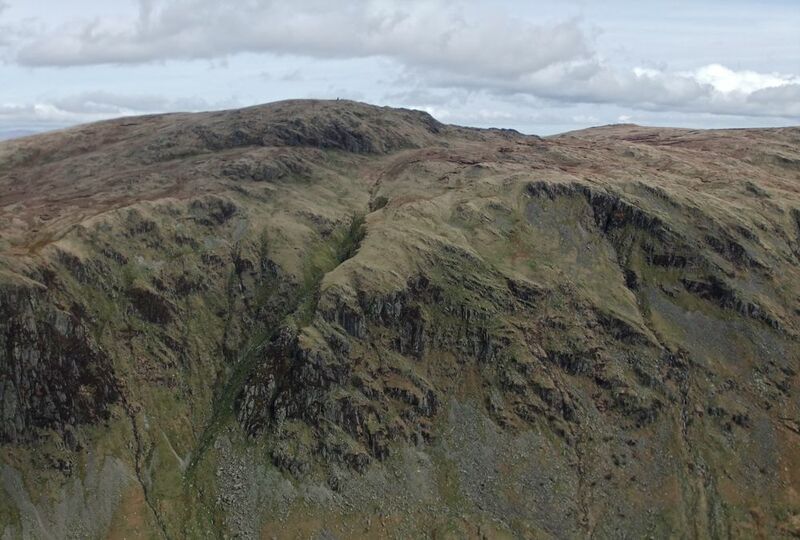 Note: There is another Tarn Crag, in the Central Fells, named for Easdale Tarn. I assume the Tarn Crag covered on this page is named for Greycrag Tarn below: except that isn’t a tarn, it’s a marsh, so this fell seems rather inappropriately named.